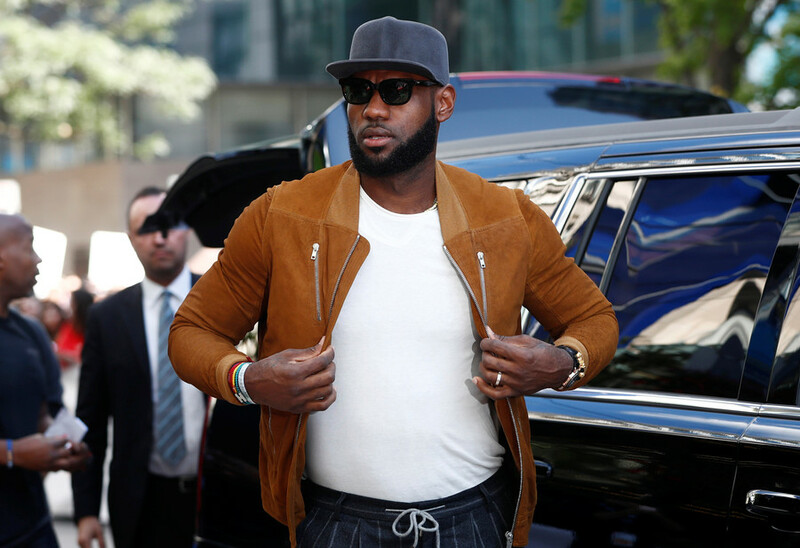 A second mural featuring new Los Angeles Lakers signing LeBron James has been vandalized following the player’s move to LA from the Cleveland Cavaliers. The mural, which featured James wearing his famous number 23 jersey and looking up at Lakers legends including Shaquille O’Neal and Magic Johnson, was intended to represent the storied history of the basketball franchise which James has joined - but it appears that not everyone in Los Angeles is anticipating the arrival of the four-time NBA MVP. See below for the before and after shots, per CBS Sports. In early July a similar mural was defaced by vandals. The original artist attempted to clean up the artwork, only to see it vandalized a second time. The artist has since returned to remove the entire artwork. As to why these murals depicting the consensus greatest player of his generation’s move to Los Angeles are being defaced, that is anyone’s guess, but judging by the overwhelmingly positive reaction from Lakers fans to James’ big-money move from Cleveland, it would certainly appear as if it is the work of a very vocal minority.